The Canberra was Britain’s first jet bomber, flying for the first time in May 1949. 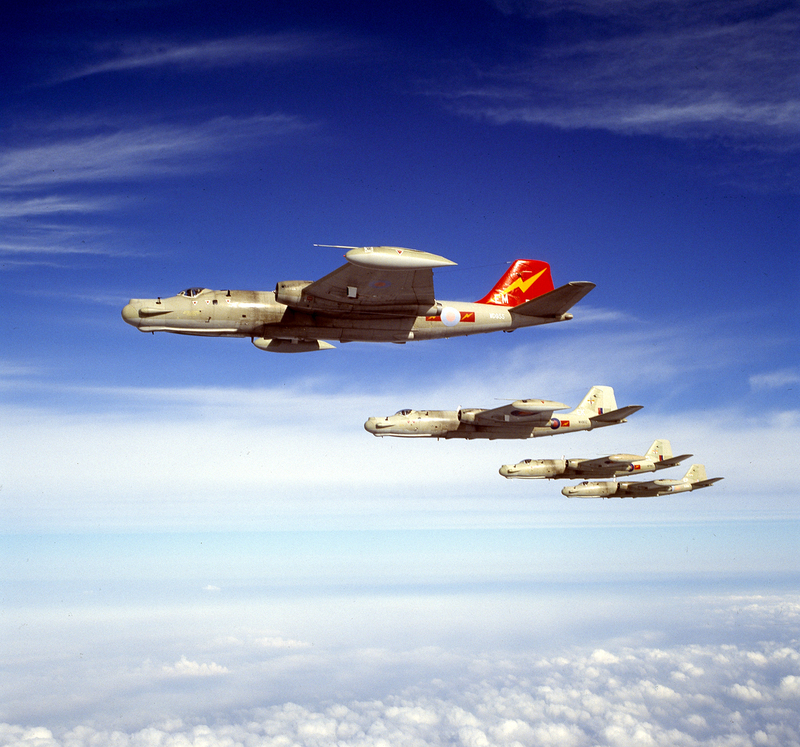 These four Canberra T17s were used by 360 Squadron, RAF, as Electronic Counter Measures aircraft and were among the last in service. I was privileged to be asked by the Commanding Officer to shoot the Squadron disbandment photographs and this is just one example of the many shot over Cambridge and Lincolnshire during the longest and most complex air-to-air shoot I have carried out. Two other images appear elsewhere on this site.